Vietnamese President Nguyen Minh Triet on Friday held talks with Rwandan President Paul Kagame, who is visiting Viet Nam to promote the two countries’ cooperation in many fields. Viet Nam welcomes missions from the African country to the Southeast Asian nation to exchange experiences and enhance cooperation, President Triet said at their talk in Ha Noi. President Kagame said Rwanda wanted to strengthen friendship and cooperation with Viet Nam in agriculture, health care, education, trade and infrastructure construction. He suggested Viet Nam send agricultural experts to his country to help develop water rice cultivation, irrigation and agricultural development in general. After the talk, the Vietnamese and Rwandan leaders witnessed the signing of three cooperation agreements between the two governments on health care, education and agriculture. 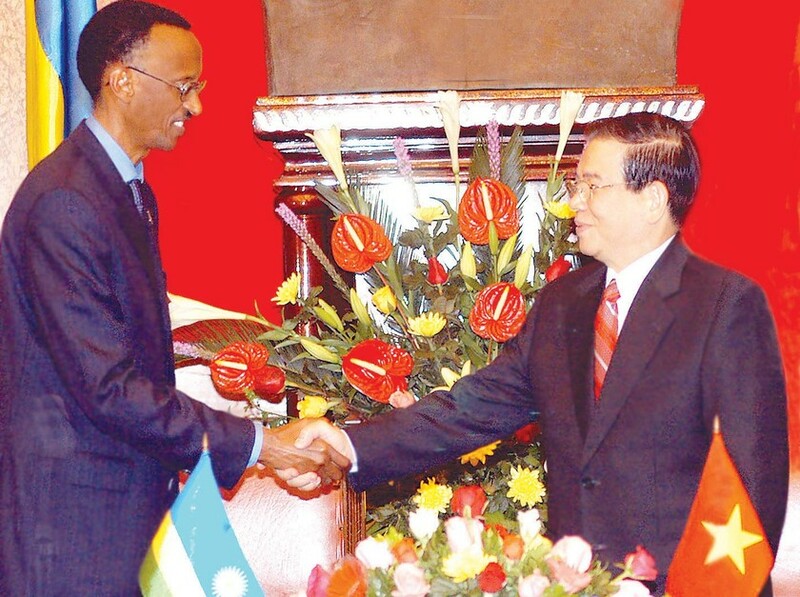 On the same day, the Rwandan President met with Vietnamese Prime Minister Nguyen Tan Dung. Mr. Dung said priorities in the two countries’ relationship should be rice cultivation, agriculture, aquaculture, education, health care, trade, investment, tourism, and information technology.